Hillary Chybinski: and the winner is. . . 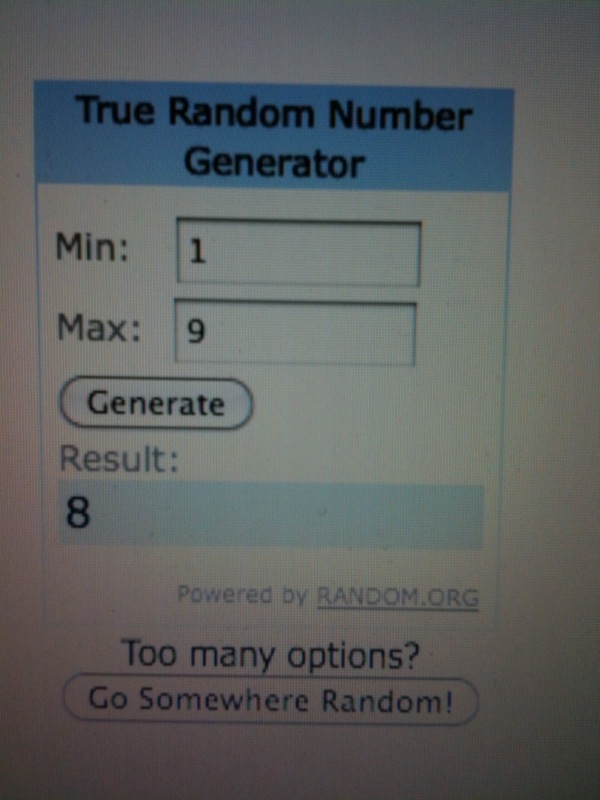 Pardon the photo of the Random Number Generator. . .for some reason I was unable to save the image from the screen. . .operator error no doubt. Congratulations Jennifer - you will soon be the recipient of a complete scrapbook kit - all you need to do is add pictures and glue =) Thank to all of you that stopped by and commented on my blog and over at my Scrappin Mom blog on MomSpace. 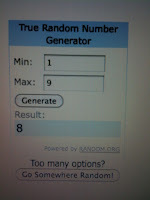 I hope we can keep scrapping together - stay tuned for more giveaways to come - it's time to purge my stash! note: the kit in this giveaway was purchased and owned by me - it was not provided by anyone or any company. There were 7 comments on this blog and 2 on the MomSpace blog for a total of 9 comments.